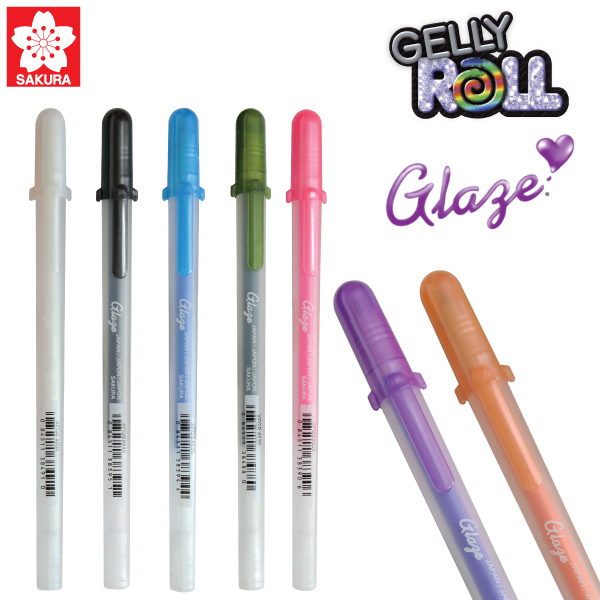 GELLY ROLL GLAZE 3-D ink and glossy, vibrant colors. The threedimensional (3-D) ink leaves a raised ink line for writing you can feel. Make DIY craft projects stand out with handwritten lettering that expresses emotion and adds texture. 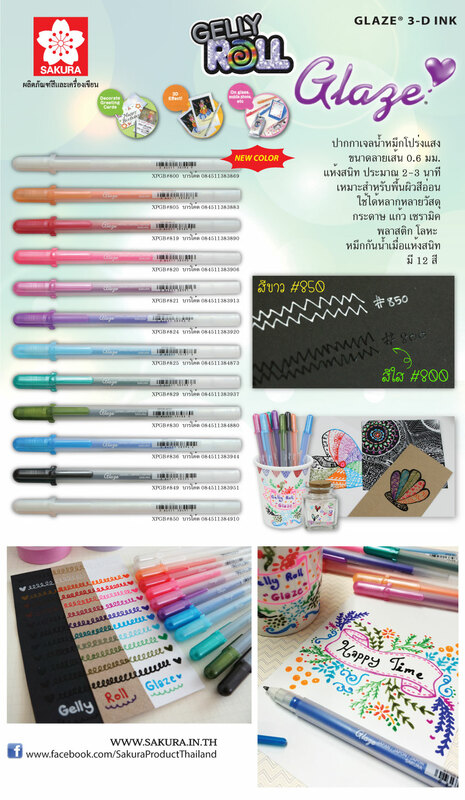 These special pens can write on non-porous surfaces such as plastics, coated papers, acetate, vellums and glass.